This is the "dirty little secret" of the vitamin industry, but it's not one the mainstream media will touch because they refuse to admit GMOs are a problem to begin with. Those in the know, however, realize that eating any ingredients derived from GMOs may expose them to the BT insecticide chemicals found in GM corn. GMOs are truly "hidden" in vitamins because the GM-derived ingredients are so heavily processed that all DNA is destroyed in the process, thereby destroying any footprint of genetic modification. Genetic ID tests, in other words, require particles of the food to remain relatively intact so that PCR lab equipment can replicate genetic sequences. Heavily processed ingredients such as high-fructose corn syrup, maltodextrin and ascorbic acid have no genetic material remaining, thereby sweeping their origins under the rug. 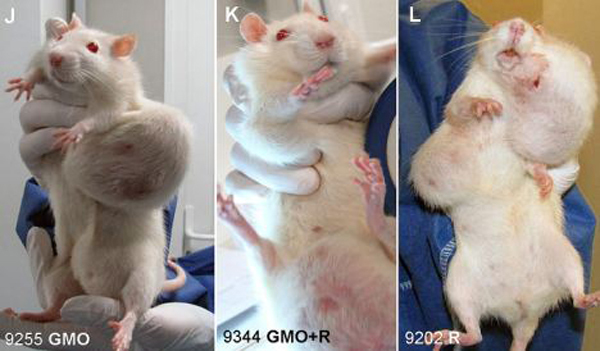 This is one reason who so many vitamins sold today are formulated with GMOs. This includes virtually ALL the popular multivitamin brands sold at grocery stores and pharmacies, by the way. • Nearly all "vegetarian" foods are GMO (loaded with yeast extract and soy). 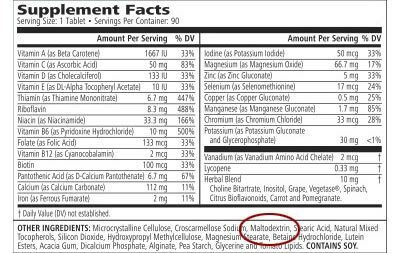 Maltodextrin is a powdery, starch derivative of corn. It is used everywhere in the nutritional supplements industry, as a "filler" for fruit powders and drink mixes, as a "sweetener" for low-sugar health foods, and as a flow agent for vitamin capsules. Unless it is certified as non-GMO, all maltodextrin should be assumed to come from GMO sources. The maltodextrin manufacturing supply chain isn't even geared up to provide non-GMO maltodextrin, as the large-scale factories that produce the material run so much GM corn that there would be significant cross-contamination even if they tried to pull off a non-GMO run. The few companies that offer non-GMO starches and sweeteners are increasingly gaining attention across the industry. I'm aware of one company called Austrade, Inc. that offers a full line of non-GMO corn-based starches and sweeteners, including non-GMO maltodextrin. According to the company, they were the first producer to receive "Non-GMO Project Verified" approval for non-GMO maltodextrin. Non-GMO maltodextrin is also making its way into health products such as "Ultima Replenisher," a healthy replacement for those junk sports drinks made with GMO corn syrup, salt and low-grade minerals. Ultima Replenisher is completely GMO-free, relying on a non-GMO maltodextrin from certified sources. 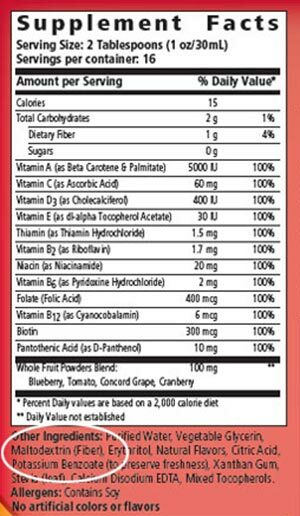 In the delusional world of western thinking on nutrients, ascorbic acid is called "vitamin C."
It isn't vitamin C, of course. 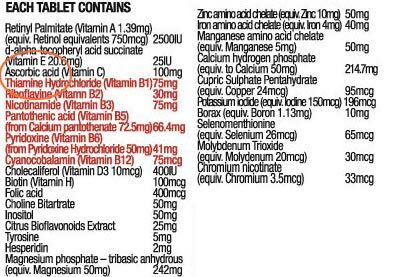 Real vitamin C is a broad spectrum of synergistic compounds, never just an isolated, homogeneous molecule. But don't tell that to doctors, scientists or journalists, because they've all bought into the "ascorbic acid is vitamin C" delusion. 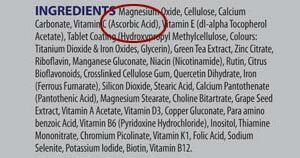 So nearly all the common "vitamin C" pills are nothing more than heavily refined ascorbic acid derived from GM corn. That's why those pills don't work, by the way. So when the mainstream media declares, "Vitamin C shows no benefit..." in clinical trials, what they are really saying is that heavily processed ascorbic acid isolated from genetically modified corn doesn't improve your health, and that's no surprise. 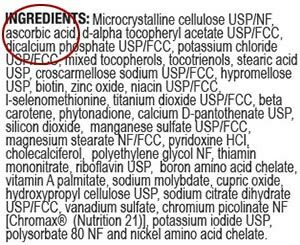 Look on the labels of your cheap, low-grade vitamins and multivitamins... you'll see "ascorbic acid" listed there, meaning you are eating GMOs. Throw those away. They're crap. 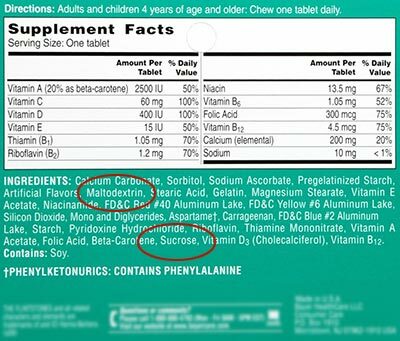 Take a look at almost any children's vitamins and you'll find they're made with several GMO ingredients: aspartame, sucrose and often citric acid, too. In fact, children's vitamins are by far the most toxic because they're usually formulated with a much higher concentration of toxic ingredients such as artificial sweeteners, artificial colors and GMO-derived materials. Consumers looking for truly non-GMO sources of health-supporting minerals can check out MegaFood's Balanced Minerals formulation. Those seeking thyroid support should take a look at MegaFood's Thyroid Strength formulation. As companies like MegaFood blaze forward in achieving non-GMO certification, they are going to force everyone else in the industry to follow suit (or lose customers). That's because consumers don't want hidden GMOs in their health supplements, obviously. People take vitamins based on the belief that vitamins won't poison them. Unfortunately, this is a false assumption given the dirty tricks played by the pharmaceutical industry in churning out harmful, synthetic vitamins loaded with toxic substances such as GMOs. That's why I support the mandatory GMO labeling of vitamins and dietary supplements. It's also why my own brand of superfoods and dietary supplements -- Health Ranger Select -- is 100% non-GMO. See, it's not just about labeling GMOs in foods. GMOs need to be labeled (or ultimately, banned) in everything we eat, and that includes vitamins and dietary supplements. Most health-conscious consumers already know to avoid GMOs in foods, but they fail to avoid them when selecting vitamins and supplements. So they're taking in quantities of GMO-derived materials in their health supplements, and that defeats the whole purpose of being "health conscious" in the first place.